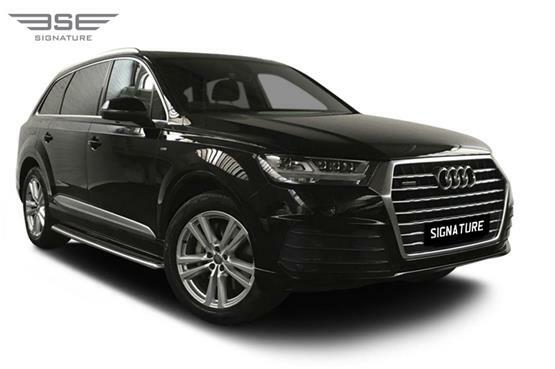 Our Audi Q7 hire car is a top of the range model that sits at the peak of the Audi range. With bags of elegance, a generous size, heaps of technology and practicality this rental car is the ultimate 4x4. There is plenty of room for seven on the inside, with room to spare for their luggage. 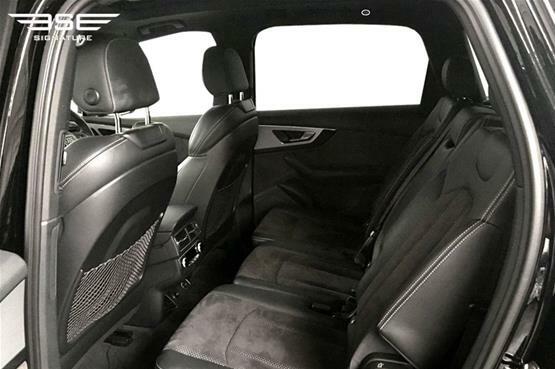 Driver and passengers can benefit from an elevated position in this supremely luxurious and comfortable SUV. The interior includes Audi's Virtual Cockpit that declutters the controls providing the driver with everything required right in front of their eyes set within the instrument cluster. 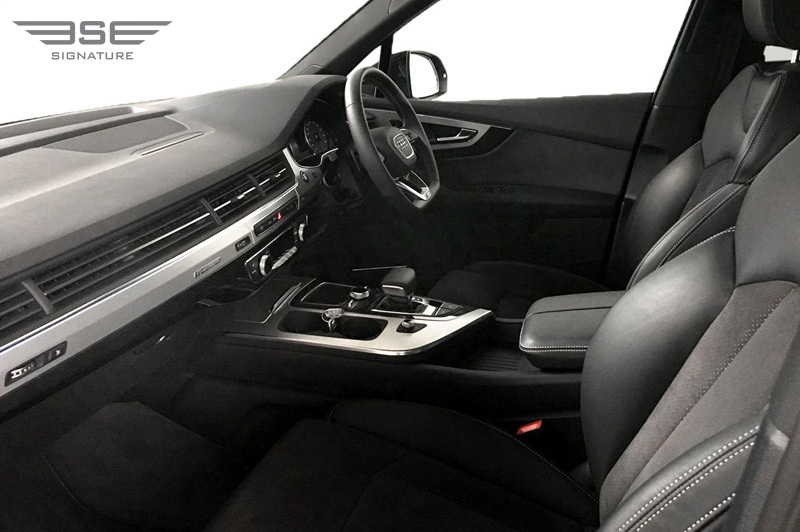 The interior is a great place to cruise incorporating Audi's usual design genius, finer detailing and understanding of how to use exquisite materials and how to combine them within flowing lines with supreme fit and finishing touches. 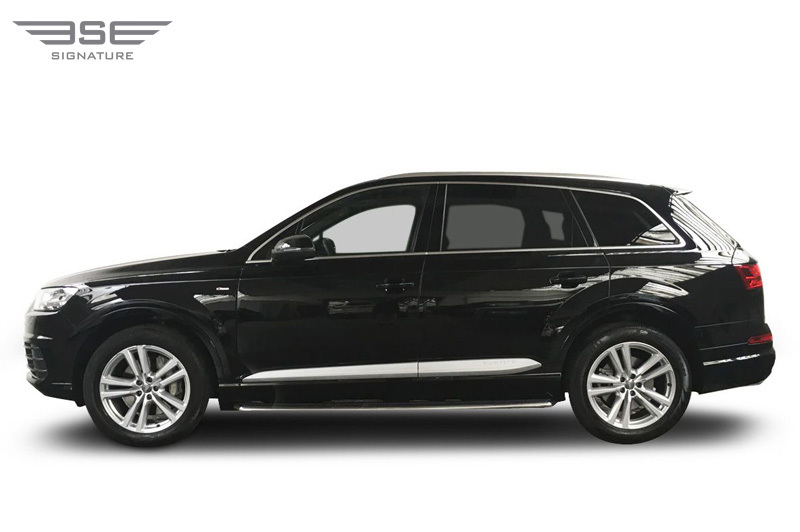 Our Audi Q7 rental car is a beautifully refined 4x4. 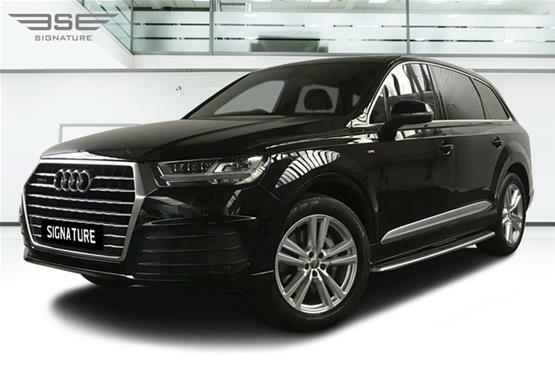 Even though it is spacious it still offers high levels of stability, precision and high ground clearance thanks to its intelligent air suspension system that provides smooth progress whether motorway cruising at high speed or travelling along minor B roads. 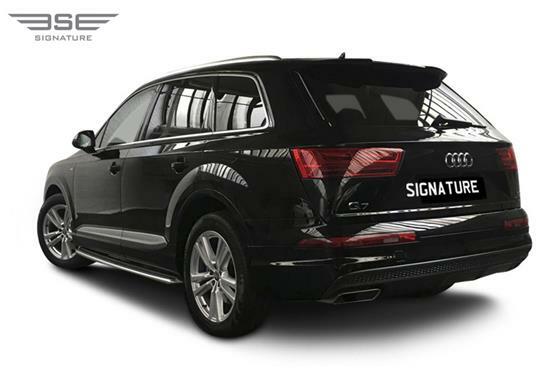 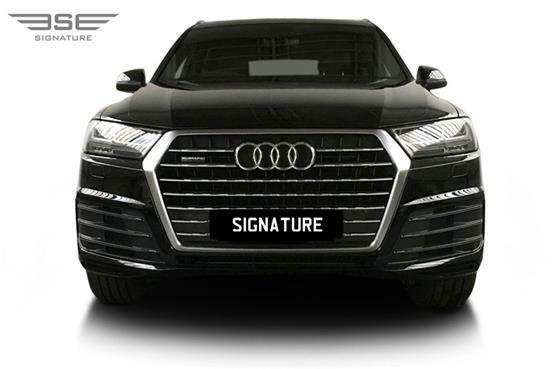 Our Q7 has been designed using cutting edge, lightweight materials making it truly enjoyable to drive and coupled with Quattro power to all wheels it provides for a safe drive in all conditions and on all road types. 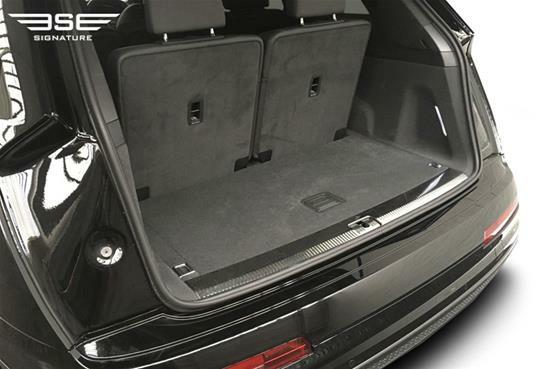 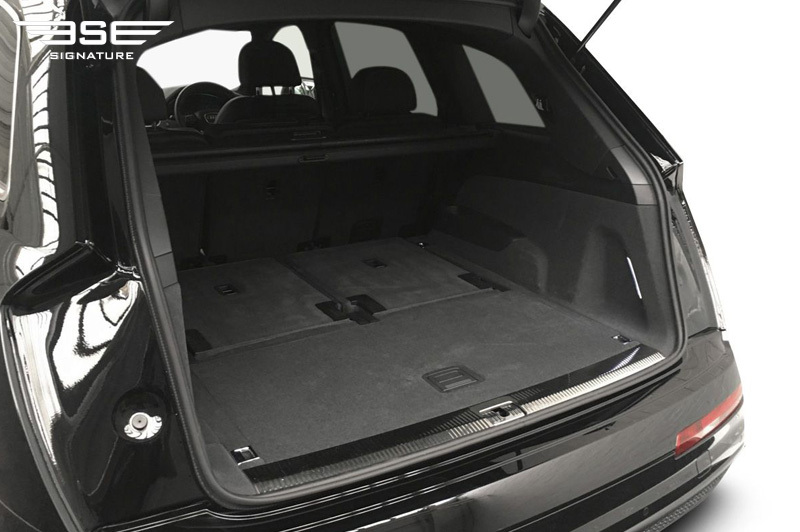 This model features three rows of seats; the rear two rows can go flat to offer huge amounts of luggage room. It includes adaptive xenon headlights, daytime running lights 8.3in Audi MMI infotainment with sat nav, Bluetooth, smartphone mirroring, DAB, dual-zone climate control, and electrically adjustable and heated front seats and smartphone interface. Full-size front, back, side and head-level airbags are present. This Audi Q7 rental car is as comfortable in the city as it is in the country, it’s perfect for business, fun and family excursions or mini breaks away. 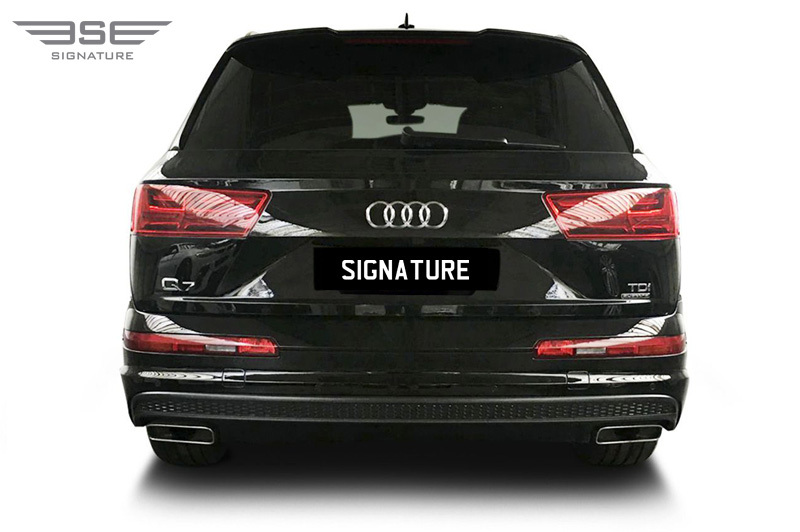 The Q7 is the perfect luxury companion whose appearance makes a top end statement of automotive excellence.